Building on a long-term working relationship, Vail Williams was instructed by Mutual Associates Limited (MAL), a subsidiary of the Southern Co-op, to secure the acquisition of a modern office investment property in Berkshire. The premises – Unit 3, Queen’s Square, Ascot Business Park, Ascot – provided an ideal opportunity for MAL/Southern Co-op, one of the largest convenience food retailers in the South, as it builds its investment portfolio. Acting on behalf of the client, Vail Williams negotiated the purchase of the 2,067 sq ft building from previous owners and original developer Salmon Harvester Properties Ltd to Mutual Associates Ltd, the property trading division of Southern Co-op, for a net initial yield of 7%. The office is let to KSF Acquisition UK Ltd for five years, from January 2015, at a rent of £54,775 per annum, equivalent to £26.50 per sq ft, on a full repairing and insuring basis. Led by Southampton-based Investment Partner Russell Miller, Vail Williams already manages Southern Co-op’s operational property portfolio and MAL investment property portfolio. Vail Williams is therefore appointed to carry out the property asset management at Ascot, for both short-term returns and longer-term growth. 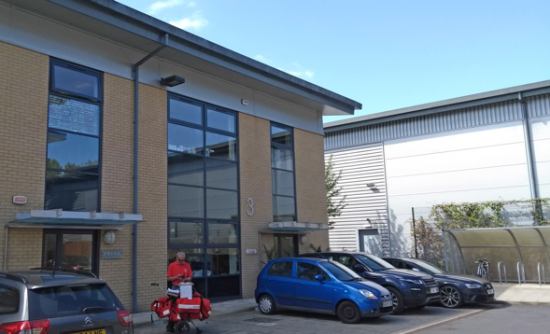 Vail Williams’ building consultancy team based in the nearby Thames Valley office completed a pre-acquisition survey to ensure the building was in a good state of repair and to highlight any possible building-related risks to the client. This was essential added value to protect the quality of the client’s property portfolio. Other occupiers at the popular Ascot Business Park, developed by Salmon Harvester Properties Ltd, include Swedish bank Handelsbanken and drinks wholesale business Interbev UK Ltd. The property offered a very attractive investment opportunity and, as a result, required the expertise of Vail Williams’ investment team to negotiate a competitive deal with the vendor and their agent. Although the purchase was completed in a relatively short period of time, the due diligence period required significant input from Vail Williams’ building consultancy team and management team to overcome a number of building related issues that if not properly investigated could have resulted in future problems for the client. In particular the client needed our expert advice regarding the estate service charges and liaison with the client’s legal advisers was paramount to concluding a satisfactory sale contract. Through our unrivalled knowledge and experience of the local market and a thorough understanding of our client’s investment requirements, we secured this much sought-after investment property for MAL/Southern Co-op. The unit at Queen’s Square provides a healthy rental income, equivalent to £26.50 a sq ft with good prospects for future growth. Vail Williams’ expertise has also been recognised and acknowledged further by the client, as we have also been appointed to carry out the property asset management at Ascot.